CCTV footage has emerged of the moment a valet parking attendant working at this week's World Golf Championship Mexico unwittingly damaged Rory McIlroy's 4x4 while parking it in the Players Parking Lot. You wouldn't notice the damage on Rory's 4x4! The video appears to show slight damage to the front driver side as the attendant accidentally clips a grass verge. 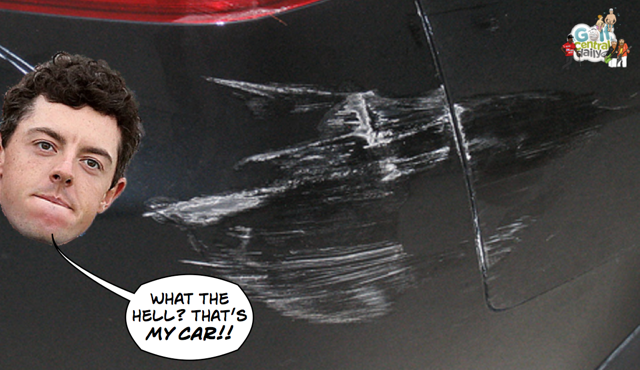 McIlroy later laughed off the fender bender as harmless saying "I didn't even notice any damage." Here's the video of the incident. CCTV footage of the moment a valet parking attendant at WGC Mexico causes slight damage to Rory McIlroy's truck while parking.